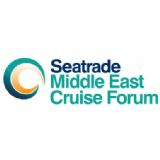 The Seatrade Middle East Cruise Forum is the must-attend event for anyone with a vested interest in the future of cruise in the Arabian Gulf. Focusing on the current outlook and questions facing the region, the event brings the industry together for two days of engaging conversation with industry influencers, experts and thought leaders. Hosted this year by Dubai Parks and Resorts, the Seatrade Middle East Cruise Forum is set to once again provide a platform for unmissable discussion on the latest trends and topics. More information will be released shortly.